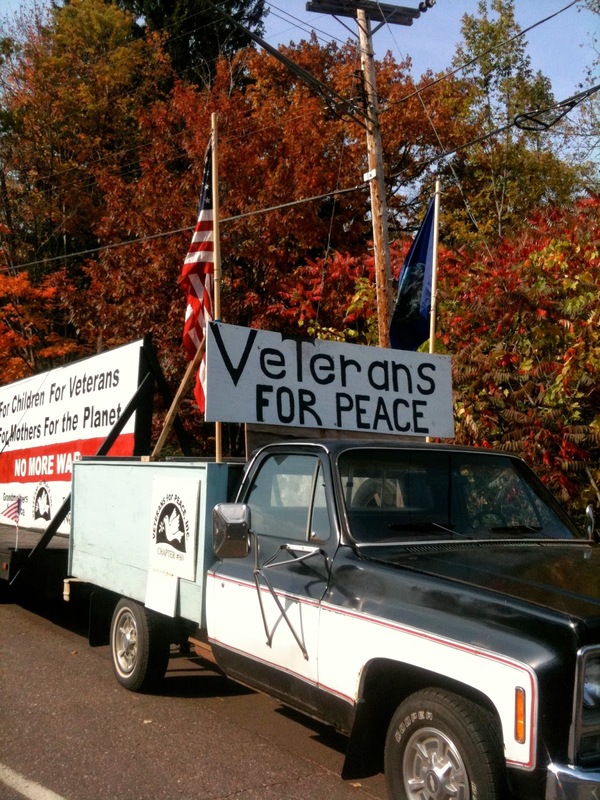 For years Veterans for Peace has been participating in parades throughout the region with their thought provoking float. As veterans, their anti-war message is particularly powerful. They've had to fight to be allowed to participate in a number of parades, especially when they first began entering their float. For years Vets for Peace have been participating in the annual Memorial Day parade in West Duluth. This year, however, they were told that they are now banned. The Memorial Day parade organizers claim that last year the Vets for Peace refused to register their float, and that they budded in line in the parade. This is something that the Vets for Peace categorically deny. In talking to the Duluth News Tribune, the organizers of the parade stated that they object to what they call Veterans for Peace's political message, and that they have voted to ban Vets for Peace "forever" from participating in the parade. They have even notified the police to make sure they don't try and participate. This is censorship, plain and simple. And while it is unfortunate, and needs to be opposed, it is not surprising given the political divisions within the local veterans movement over how to relate to the current and past wars. The West Duluth Memorial Day parade is anything but apolitical. More than anything it's a glorification of war and the military. To refuse the participating of a group of veterans who take issue with the war is a naked attempt to keep out dissident voices, and to prevent a conversation from taking place about the blood is spilled by the powers that be, and why. The local chapter of Veterans for Peace has decided to hold a separate event on Memorial Day. They're asking people to gather with them at 3pm at the Lake Place Plaza overlooking Duluth's Lakewalk for a peace rally. We urge all of our readers to stand with Vets for Peace, and against war, by attending this event.